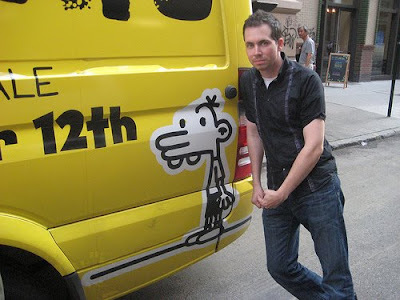 Mishaps and Adventures: DIARY OF A WIMPY KID : DOG DAYS SUMMER READING COAST-TO-COAST ICE CREAM TRUCK TOUR Comes to NEW YORK! 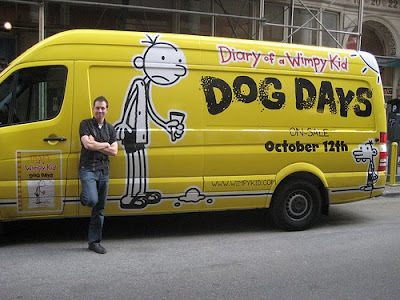 DIARY OF A WIMPY KID : DOG DAYS SUMMER READING COAST-TO-COAST ICE CREAM TRUCK TOUR Comes to NEW YORK! maybe we need trucks that sell books and comics with the ice cream indefinitely! I wish I'd lived anywhere close to where the truck was, but alas, I didn't. 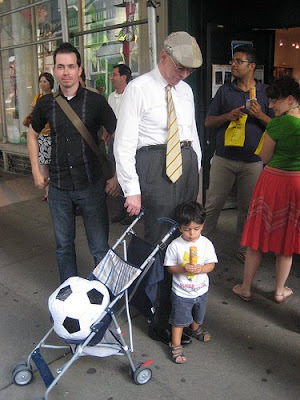 It's fun to enjoy your pictures and me, my students and my sons eagerly await the book! 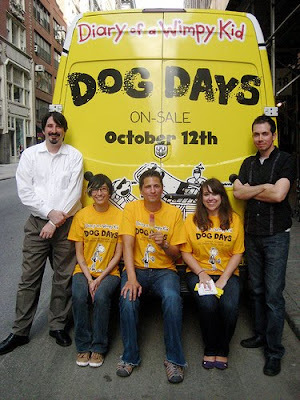 It is 45 days or 1 month, 14 days until the release of DOG DAYS! It seems like so long, but with school just starting it will go so fast. I am getting three for my library and one for me!